Learn why hospitals, clinics & wellness centers are recommending Urban Poling for cancer rehabilitation. Research benefits include: improving strength, ROM, endurance, well-being (vitality) and reducing lymphedema. While the ACTIVATOR technique is directed to improving balance and off-loading for neuropathy and post-surgery clients. Dr. Sharon Czerniec (PhD) Physiotherapist & Research Fellow from Sydney, Australia will be our guest speaker and will review innovative exercises for breast cancer rehab. Learn about a new tool that will improve enjoyment and adherence of exercise programs for your cancer clients! Webinar includes: Research Review, Guest Speaker (on benefits, exercises for breast cancer rehab) and a review of the Urban Poling and ACTIVATOR technique. *This session will be recorded. With registration, if you are unable to attend, the recording will be sent via email within 5 days after the webinar. 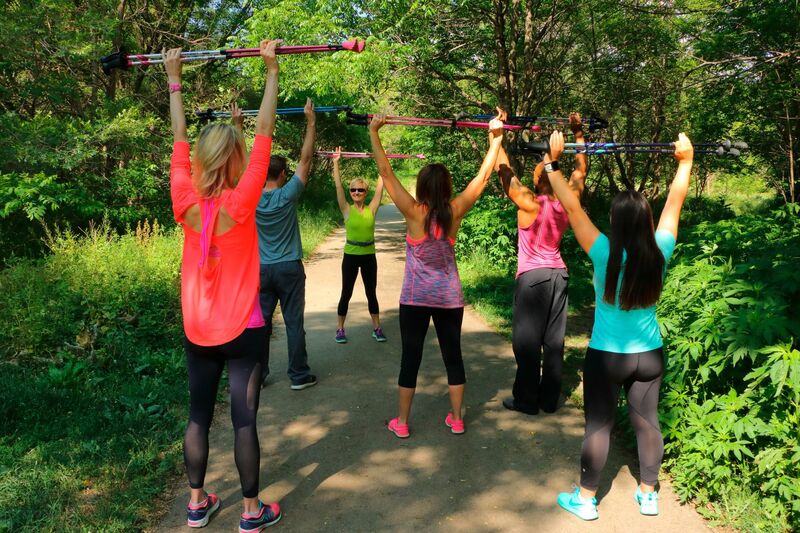 *2% of sales from the 4Life Pink Poles is donated to Cancer Wellness Programs. Bio – Dr Sharon Czerniec is a physiotherapist and lymphoedema therapist with a clinical and research focus on lymphoedema and post-cancer rehabilitation. She completed a PhD on the assessment of breast cancer-related arm lymphoedema through the University of Sydney with the support of a National Breast Cancer Foundation Doctoral Scholarship. Sharon has worked clinically in cancer care at various public and private health care facilities and has developed and conducted exercise classes for people undergoing cancer treatment. In her academic roles Sharon has been involved in teaching undergraduate and post graduate physiotherapy students and has published widely on lymphoedema, with a focus on assessment using bioimpedance spectroscopy, but also on tissue changes associated with progression and the impacts of lymphoedema on function and quality of life. Sharon joined Australian Lymphoedema Education Research and Treatment (ALERT) team as a Research Fellow in 2018. The information in this publication/presentation is not intended to replace existing rehabilitation programs. The testimonials are those of independent therapists and are not a guarantee of results. The consumer should not rely solely on this publication but should also consult their physician or therapist. Urban Poling Inc. and its employees and representatives do not accept any liability for the information contained in this publication or any damages.